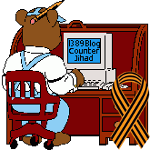 Attend Muslim Day Parade Counter Rallies Sept.9, 2007 NYC — 1389 Blog - Counterjihad! A Muslim-American Day Parade in NYC – on September 9? How DARE they celebrate 9/11? On September 9th, just blocks from Grand Zero, a number of Islamist organizations will hold the 22nd annual “American Muslim Day Parade,” in an intentional inflammatory display. But American patriots won’t let them go unanswered. WHERE: New York City, Madison & 41st street to Madison & 23rd. See the Infidel Rally website for more details. See the Muslim Day Protest website for more information. Be sure to let Mayor Michael Bloomberg know what you think! If you haven’t yet joined Vigilant Freedom/910 Group, you should! No thanks… but let us know the parade dates for protests against *Rapturism* (which shares with Jihadism a certain glee for arrogantly deceptive constructions of made-to-order ‘heavens’). Btw, from a marketing standpoint, what better date for a faithful people to address the blind ignorance that labels all Islamists ‘terrorists’? The reason that there is no need for a parade against what you call “Rapturism” is that those who believe in that sort of thing (and I am NOT one of them) do not pose a danger to the rest of us. Specifically, believers in “rapture” are not putting on parades or other public demonstrations that include persons and groups known to be connected with terrorist activities. They might believe in something that you or I don’t agree with, but they are not attempting to coerce the rest of us to go along with them. The point is not that all Islamists are “terrorists” – an Islamist is a Muslim who is attempting to expand the realm of Islam whether anyone else likes it or not. Of course, not all of them are terrorists; most of them use other means to accomplish those ends. But as for me, I will not tolerate Shari’a law in the US. I want no part of someone coming to the US with the intention of changing our religion, our form of government, and our entire way of life. Speaking of blind ignorance, would it not behoove you to learn a lot more about who these people are, and what they are about, before you comment? And I don’t mean listening to what the Muslims say about themselves! That is because Islam not only permits, but requires, its believers to deceive the infidels whenever doing so will promote their faith. I can see that this does not fit with the touchy-feely world view that you want to continue to believe in. But we’re not on the Good Ship Lollypop, and it’s time to grow up, take a look around, and see things the way they are.